The question is as tricky as Hamlet’s ‘To be or not to be…’ Well, in today’s fast paced world, you might often feel that blowing your hair dry is a necessity. After all, who has the time to allow it to dry naturally? In the rat race of life, we hardly have the time to air-dry our hair. So, the question is should we or should we not blow dry our hair? After all, it saves so much time and helps style hair in a certain way that air-drying will never help! Let’s find out! 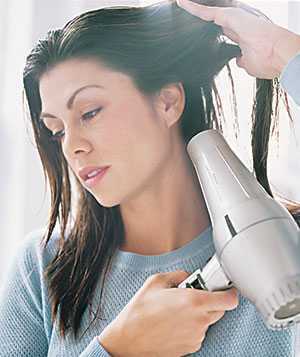 Air-drying is a natural process and does no harm to your hair. On the other hand, blowing your hair dry tends to make your hair prone to damage. It might damage the hair cuticle badly and beyond repair if you are not careful enough. Moreover, in the long run, the heat strips your hair of moisture and your hair looks dry and dull if you do not condition your hair properly. While blow drying saves you from the embarrassment of flaunting wet hair with water dripping almost at every step, it might result in split ends if you are not in the habit of using thermal protector. So, it is very important to consider what your preference is- hair that looks beautiful, straightened or curled, in no time or hair that feels beautiful, looks healthy that is cared for using natural methods. Certainly, air-drying is a better option. Any day, air drying your hair wins over blow drying your hair! Invest in a good quality hair dryer. Know that if your hair is thick and curly, you need to go for higher heat setting while for fin hair, you must get a low heat mode. Use products that protect your hair from heat. Pre-treating your hair with these specialized creams and sprays help prevent damages caused by blow dryers. Separate your hair into sections, start with a low temperature and it is better to attach the diffuser so that the heat spread over a larger area instead of concentrating in a small patch. Use good quality shampoo and conditioner to maintain healthy hair.